Vegalta Sendai might be a small under-achieving football club on the East Coast of Japan but they are home to the famed Supporter Squad – a fanatical army of flag-waving fans that turn every game into a swirling sea of yellow and blue. Fun loving and dedicated, they party their way through every game to a punk soundtrack of Kiss and The Ramones, bringing their own unique brand of pantomime chaos to the football stadiums of the country. 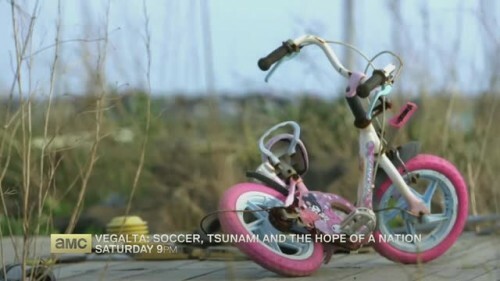 It was their determina on and courage in the wake of the devasta ng 2011 tsunami however, that bought them to the a en on of the world’s media and football fans around the globe. Their remarkable act of de ance set o an incredible chain of events which, cap vated Japan and de ned the na onal spirit of recovery. Vegalta: Soccer, Tsunami and the Hope of a Na on tells how the club and their legendary fans set out on the long and emotional road to rebuild their hometown – and in the process, laid down a challenge for Japanese football’s biggest prize.